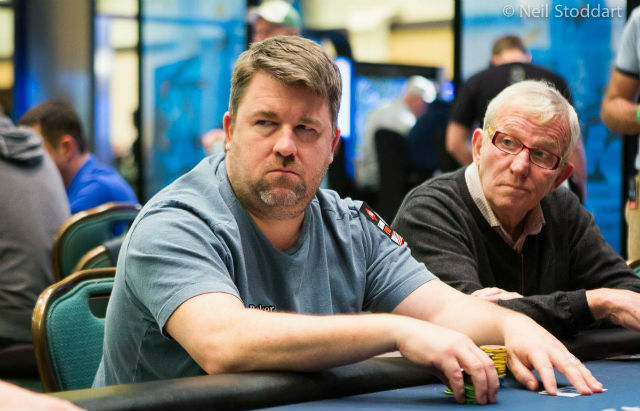 Chris Moneymaker grinded PokerStars NJCOOP last night and walked away with a win. Wednesday saw one of PokerStars’ biggest names take down a title in the third annual New Jersey Championship of Online Poker. Main Event winner and the man who started the poker boom, Chris ‘Money800NJ’ Moneymaker, was online and grinding NJCOOP on Wednesday. Moneymaker battled through the 242 runners in Event #14 ($100 NLHE Progressive KO) to the victory taking home the largest cash prize of the day with his first place prize of $2,139.88 combined with his bounty haul of $2,896.24 for a total of $5,036.12. Moneymaker was in New Jersey while still on his coast-to-coast Moneymaker PSPC Tour. The tour offers players the chance to play with the PokerStars ambassador in a $86 buy-in event with the winner earning themselves a $30,000 Platinum Pass to the $25,000 PSPC which will take place during the 2019 PokerStars Caribbean Adventure. Earlier during NJCOOP, East Coast grinder Anthony Maio won his way to the Bahamas the event by winning Event #6. This week, the live tour stops at the Mohegan Sun in Connecticut from October 4-7 where yet another player will win their way into what is expected to be the largest High Roller in history. The runner-up for Event #14 was ‘CrazylKilla’, who settled for $1,646.72 (+ $766.29 in bounties) for finishing runner-up to Moneymaker. Also, PocketFiver Ross ‘Rosseg’ Gottlieb finished in third place, banking $1,267.72 (+$391.56 in bounties). It was another great NJCOOP day for Dan ‘R@zzleDazz1e’ DiZenzo. It was DiZenzo’s third final table of the series, but this time he closed it out with a victory. The grinder from Vernon, NJ earned $3,801 for overcoming the 75 players in Event #15 ($200 Fixed Limit Hold’em Six Max). The performance gives DiZenzo a first, second and third place finish in the past three days. Jon ‘toddchipman’ Borenstein also picked up his third cash of the series in Event #15. The 2017 Aria WPT500 Champions finished in second place and earned $2,545.87 to push him up over $625,000 in total online earning. Moneymaker was also looming in this contest, however, he couldn’t make it into the money, falling just two places shy of a min-cash.